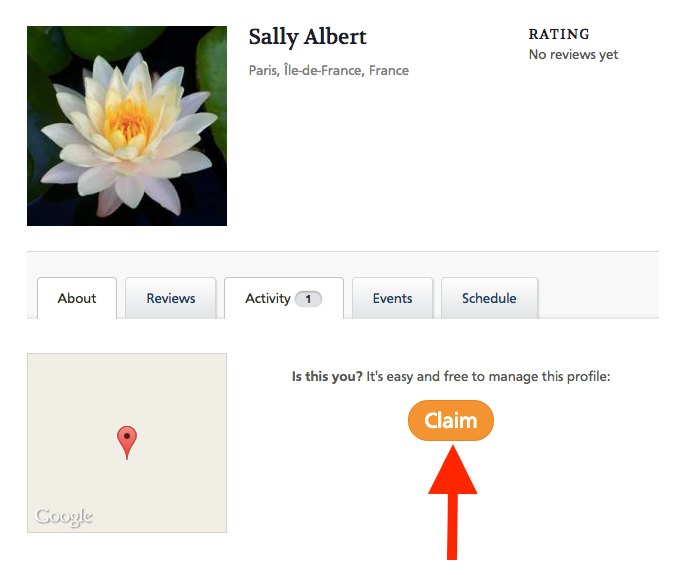 Some of the profiles you see on YogaTrail are 'unclaimed'. This means that the owner of this profile hasn't yet joined the community, and they're easy to spot: they have a big orange button on them that says 'Claim'. 2. 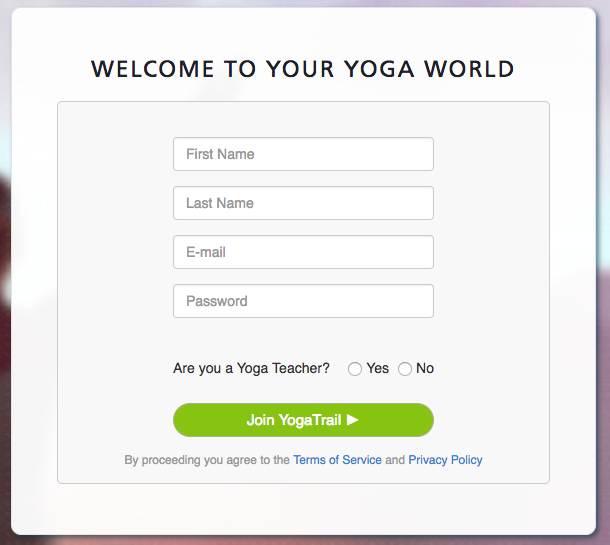 The next screen will ask you to join YogaTrail, or log in if you're already a member. Please note that having an unclaimed profile on the site doesn't mean that you already have an account. So if this is your first time using YogaTrail, you'll need to join the site before you can claim your profile. If you're already a member, then please choose 'Already a Member? Log in now', and then enter your email and password. The newly claimed profile will be added to your existing YogaTrail account. 3. After that, you'll just need to confirm that you're claiming this profile. 4. You'll then be taken through the steps to fill out our newly claimed page. Congratulations! 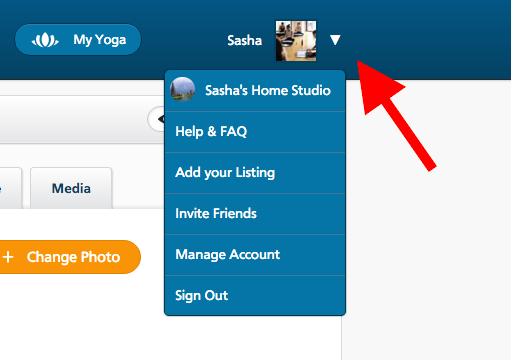 If you already had a YogaTrail account, you will now have more than one profile on the site (for example, a teacher and studio page). You'll be able to navigate between them by using the drop-down menu at the top right (click the wheel, next to the 'My Yoga' button). An important note about unclaimed profiles: only the rightful owner of these profiles should claim them. If you've claimed a profile by mistake, and if you're not the teacher represented by this profile, or the owner or manager of the venue, please let us know. If you've found a profile on the site that should be yours but seems to be already managed by somebody else, please contact us. Most of time, this has been done by mistake, and in every case we can fix things.